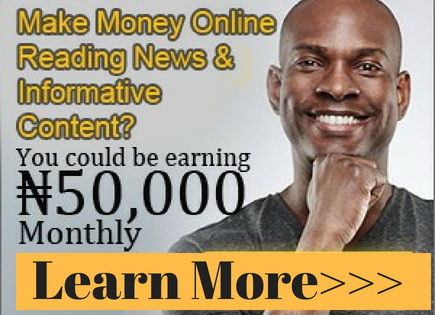 Home / How to Make Money Online / Online Business / 10 Ways Nigerians Make Money Online In A Legit Way? 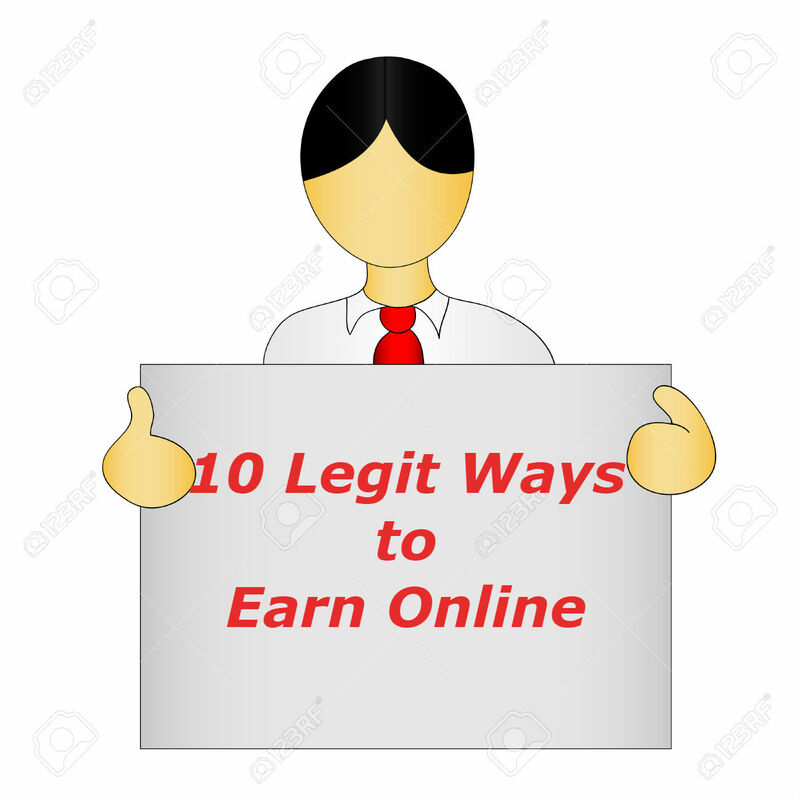 10 Ways Nigerians Make Money Online In A Legit Way? The paid methods of making money online. The Free Methods: By free methods, I mean the methods that do not require capital investment to start. The only sort of investment required here is the cost of internet subscription i.e. if you don't have free access to the internet. But if have free internet access you then don't need to spend any dime in starting and running this type of business. There are programs on the internet that gives you a certain number of websites to visit per day. You visit the websites, you get paid. 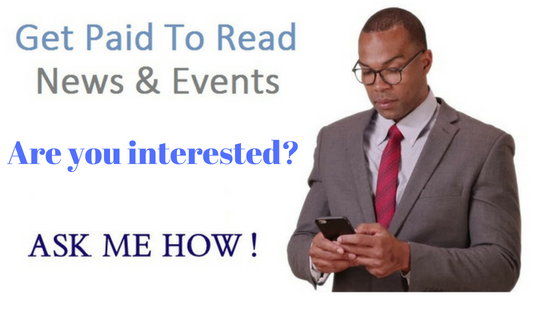 There is also a social media platform that pays you anytime you log in to your account. I will give details of this in the subsequent posts. However, you can check it out here: a social media platform that pays you for log in everyday. There are websites that pay you for creating contents for them. If you have the gift of writing, you can sign up for such websites, and write articles for them. When your articles are approved, you get paid. There are some other websites where you can publish contents and monetize your contents directly by yourself. A good example is HubPages. AdSense: Here you need to have an AdSense account. The good news is that even if you don't have a website/blog of your own, you can still use your contents on HubPages to apply for AdSense. But make sure your contents are unique and of high quality, if not your AdSense application will be declined. Also, you need to have created a lot of contents perhaps 25 or more unique articles before you proceed to apply for AdSense, using HubPages as a platform. Affiliate programs: HubPages integrate Amazon and eBay affiliate with their system. This means if you are already an Amazon or eBay affiliate you can link your affiliate account with HubPages. Currently, you cannot use your content on HubPages to sign up for the affiliate programs mentioned above. You need to have at least a blog of your own to start with. Creating a free blog with Google blogger is very easy. Once you have your blog created you can sign up for any of the affiliate programs. But be informed that eBay does not accept Nigerians; Amazon does. Hubpages earning programs: To benefit from this you need to submit your tax payment information to HubPages. Other sites that one can publish contents and make money off it are Helium and Yahoo! voices. Here you voice out your opinion and you get paid for it. There are several survey sites that accept Nigerians. One of the best of such sites is Treasure Trooper. Apart from being a survey site, there are several other programs (such as adventure games, polls, etc) that one can be engaged in and make points that can be converted to money. However, paid online surveys are not viable ways of making money online. A good way of making money with survey sites, however, is to refer others to them. For every dollar your referrals make, you are given a percentage. Also, most survey sites don't pay as they claim to. As a matter of fact, most of them are scam sites. Survey sites that really pay, most of them do not accept Nigerians. If at all you want to participate in survey sites that do not accept Nigerians, then you have to mask your IP address. Your IP address gives away your real location, so to avoid that you have to hide it. There are loads of software/websites that you can get information on how to hide your IP address. A quick Google search will reveal some of them. As an example, I use Zenmate and it's very cool. It's available for both free and premium users. Also, you need to get a PayPal account that can withdraw your money earned. As you already know, the type of PayPal we operate in Nigeria, we cannot receive money with it. Also, you may consider getting a virtual address. Graphcard is the best platform for this. They charge a token for the virtual address. Also, think of having a second email address that you can use to sign up for such survey sites, cos they will load you with lots of emails. And you must log into your account every day. Most of these survey sites, once they send you a survey and you fail to do it two or more times, forget about receiving more surveys from them. This means you have to check your emails regularly and carry out surveys promptly. They take note of how frequent you respond or reject offers and these count towards future mailings to you. There are several free blogging platforms out there that one can use to create a blog and make money off it. One of such is the Google blogger. I will talk more about this in subsequent posts. In this, you create an information product which may be an eBook or anything that contain useful information that people will be willing to exchange money for it and market it online. You need to build a website or blog for your information product, write a sales page for it and build links to your page. If you don't have any information product that you create yourself, there are websites where you can get info products with resale rights. I have over 5 million information products that have resale right. If you are interested contact me. You will get all the products for less than 10k. You buy such products, and you have the right to resale them for a profit. This is another viable way of making money online in Nigerian, especially now that most Nigerian businesses are embracing the internet. A lot of hosting companies offer such services where you can buy hosting package in bulk called reseller plans and resell to others. A good example here in Nigeria is Who Go Host. Affiliate marketing is a type of where your performance is rewarded by the merchant i.e. a form of marketing in which a business rewards one or more affiliates for each visitor or customer brought by the affiliate's personal marketing efforts. Affiliate marketing as an industry has four core players: the merchant who is also known as 'retailer' or the 'brand' you are promoting , the network (that contains offers for the affiliate to choose from and also takes care of the payments, not all affiliate programs are run through network, some merchant run their affiliate program by themselves), the publisher (also known as 'the affiliate' i.e. the person that signs up to promote another person's product), and the customer. Affiliate marketing has grown in complexity, which brought about the emergence of a secondary tier of players, including affiliate management agencies like CJ Conversant, ClickBank, etc, super-affiliates and specialized third party vendors. There are a number of affiliate programs that accept Nigerians. Some of them are Amazon affiliate program, Commission Junction, now known as CJ Conversant, and there are affiliate programs right here in Nigeria run by Nigeria that you can join and make good side income monthly if you are serious with it. Examples are Jumia affiliate, Konga affiliate, WhoGoHost, etc. You are free to make more research on your own. A Google search of phrases like "Affiliate programs that accept Nigerians" will bring a host of them. To participate in these affiliate programs, you need to have at least a blog of your own. I am not a disciple of this so I don't have much to say. If you want to give it a try, you definitely can do your own research. There are loads of information on the internet about this subject matter. Also, I am not a disciple of this. I have been scammed severally with such programs. So I make bold to say the 99.99% of HYIP are outright scams. BEWARE!! !